A memorial service is a wonderful way to pay remembrance to your deceased loved one. There are many advantages to holding a memorial service instead of, or in addition to, a traditional funeral service. With that, there are many factors to consider to plan the memorial service you really want. Today some may want a spiritual service but not necessarily a religious one. Memorial services give you that option. They also offer flexibility with timing. People are spread across the globe with varying schedules. Contrary to funerals, there are no hard and fast rules with timing of memorial services. Finally, holding a memorial provides a personal service that truly reflects the life of the deceased. There is limitless flexibility with timing of memorial services. Many people opt to hold one around the birthday of the deceased or another important date. Mother’s Day and Father’s Day are popular choices. Decide on the date you will hold yours to be able to move forward in the next steps of planning. Now that you have a date you can make sure your venue is available. Memorial services can be held literally anywhere. Secure a spot that was a favorite of your loved one or highlights a favorite activity. Good examples are gardens and beaches. But, you can have one anywhere including sports arenas, bowling alleys and baseball fields. Remember, even if your venue is a public place you’ll want to double check for conflicting usage of the facility on the same day. To memorialize your loved one, aim to create an overall atmosphere they themselves would have enjoyed. Unlike funerals with a formal theme, you really have limitless options for atmosphere planning. Music: what type of music best reflects their personality? Food: food and drink is certainly not mandatory but is a nice touch especially if the service runs through a meal hour. Decide the type of food and drink you’ll serve. Tone: what tone best memorializes the deceased? Would they appreciate more of a formal, somber tone? Or, were they jovial and an upbeat tone is best suited? Get creative: the beauty of memorial services is that you can really think outside the box. Did they have a favorite food or scent? Light a scented candle, put out food items they loved, use essential oils. Did they have a favorite hobby? Place items they made or tools used in the hobby out for view. Many people opt for all of these and set up a memorial table. The vital details are done. Now it’s time to send out guest invites. Be sure to include small but important items such as if you will serve food, a certain dress attire or if there will be an unique activity (“Please join us to lay ashes in the ocean after the service.”). Ascension Funeral Group serves the Mobile, Alabama area with funeral and cremation services, grief support, pre-planning, and more. 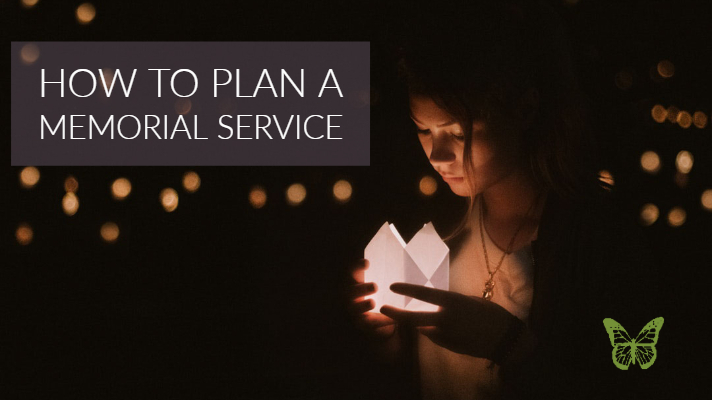 If you need assistance with planning a memorial service for your loved one, visit us online at www.AscensionFuneralGroup.com! Call us anytime at 251-634-8055 or connect with Ascension Funerals & Cremations and Forest Lawn Funeral Home on Facebook and Twitter!